Recent research has shown Beta-Alanine to be a safe an effective supplement for strength and conditioning training. If you haven't heard of or tried Beta-Alanine it's definitely worth taking a look. What if we told you that there’s an easily-accessible supplement that’s been proven by major university, peer-reviewed studies performed on actual human beings, to boost explosive muscular strength and power, enhance anaerobic (resistance training) and aerobic (cardiovascular) endurance, increase muscle mass, and allow you to train harder and longer than normal (source). We’re going to take a look at five supplements that all claim to provide users with those benefits, thanks to the power of Beta-alanine. At a fundamental level, Beta-alanine is an amino acid — the raw material that makes muscle tissue. However, Beta-alanine is a bit different than many of the other amino acids that you might be familiar with, or that people in the fitness industry talk about, because it’s considered a “non-essential” amino acid. To put it in simple terms, it means that it’s not abundantly found in your typical protein sources, like chicken, beef, fish, or even whey protein, and even when you do consume it, it’s not going to be used by the body to synthesize muscle proteins. So then, why is Beta-alanine relevant, especially to athletes and fitness enthusiasts? Instead of thinking of Beta-alanine as a standalone item in a vacuum, think of it as a key ingredient in a recipe. When Beta-alanine is combined with another key amino acid called histidine (an essential amino acid that’s required for tissue growth and repair which can be found in a wide variety of foods), it results in the creation of Carnosine, a very powerful molecule that has a whole host of positive benefits. Metaphorically speaking, Carnosine is like the security guards hired by nightclubs and nightlife hotspots: it makes sure that nobody acts out of line, and keeps out anybody who shouldn’t be there. For instance, everyone is familiar with that “burning” feeling in your muscles, when you exercise for an extended period of time. That burning feeling is literally the build-up of lactic acid, whose presence, as we all know, makes it harder and harder to keep going. Carnosine basically neutralizes the effect of lactic acid in the muscles, while simultaneously increasing the effect of Adenosine triphosphate (ATP), which is basically the fuel source for all cells. In other words: it gets rid of the stuff that makes you feel like your muscles are on fire and/or completely drained, to help you exercise longer and perform better. But Carnosine has a great deal of importance even outside of just athletic performance. It reduces the rate of formation of advanced glycation end-products (AGE’s), which are basically rogue proteins or fats that bond with the sugars in your body, and then hang around to make a huge mess in your arteries and veins. AGE’s can be a factor in aging and in the development or worsening of many degenerative diseases, such as diabetes, atherosclerosis, chronic kidney disease, and Alzheimer’s disease (source). Going back to our security metaphor: it’s the it gets between two different people who want to get together and cause a ruckus in their present location. By neutralizing many of the side effects that take place during rigorous exercise, Carnosine effectively helps your muscles work even better, allowing you to work out harder and for a longer duration. And while your body does produce its own supply of carnosine, it’s nowhere near the amount needed for people who are very physically active. Supplementing with Beta-alanine vs. Carnosine? Having spent all this time talking about the benefits of Carnosine, and how Beta-alanine simply facilitates the development of Carnosine, you’re likely asking the question: why wouldn’t I just purchase and use a Carnosine supplement in the first place, since that’s what we’re trying to create in the body in the first place? While that might make sense from a logical perspective, that’s unfortunately not how the body works. If you ingest carnosine directly, your body will simply break it down before it ever reaches your muscles. It’s effectively pointless. To effectively boost carnosine levels in your body, you have to supplement with beta-alanine. As far as the optimal way to supplement with Beta-alanine, the process is very similar to that of Beta-alanine’s frequent “tag team” partner among athletes and gym buffs: creatine. Initially, you might want to go through a loading phase, constituting about 6 grams spread over two or three doses during the day for the first six days, and then progressing to the maintenance phase, taking in about 3 grams divided into three doses. Many people find that, like creatine, beta-alanine works best if it’s ingested with post-workout carbohydrates, as the insulin spike created by the carbs directly shuttles the Beta-alanine to the tired cells in need of recovery. Also, studies have shown that taking Beta-alanine with a meal may be even more effective (source). And if you’re looking for an outside-the-box way to even further enhance the impact of Beta-alanine, try combining it with sodium bicarbonate, aka baking soda. Baking soda also enhances exercise performance by reducing acid in the blood and muscles, which means that it’ll compound the effect of the Carnosine created by Beta-alanine supplementation. 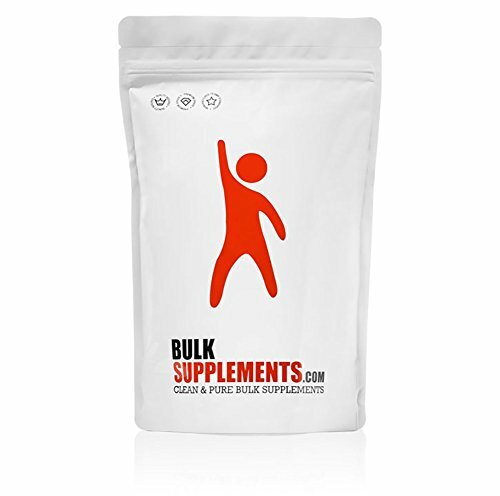 A wholesale supplier of over 300 pure nutritional supplements and ingredients, Bulksupplements.com’s promise to both consumers and retailers looking to purchase from them is simple: they offer a huge product selection, unbeatable prices, and excellent customer service. Located in Henderson, Nevada, Bulksupplements.com is an FDA-Registered facility that’s fully dedicated to maintaining all health code and government regulations, ensuring that you can safely purchase products that you feel confident using and/or providing to others. Beta-Alanine is known to increase athletic performance and promote recovery. As a precursor to carnosyn, Beta Alanine can delay muscle fatigue and enhance extreme muscular power output. Pair with citrulline malate, taurine, creatine, BCAA, and glutamine for optimum athletic performance. Wholesale Health Connection brings you the best of bulk health & wellness products, sourced ethically from around the globe. Located in San Antonio, Texas, the company promises to provide consumers with the highest quality product, each and every time. Wholesale Health Connection offers consumers the ability to buy products in bulk, allowing them to pass on those savings in the form of discounted prices. Plus, orders of $50 or more will receive free shipping. PrimaForce prides itself on providing consumers with quality products at affordable prices, while utilizing pharmaceutical-grade, tested ingredients. 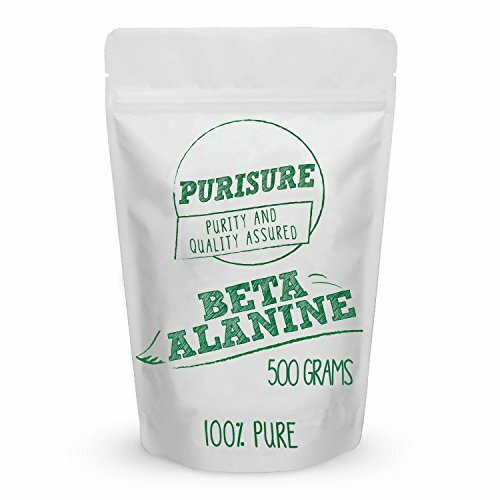 Their Beta-alanine product is made in the USA, and lab-tested for purity and potency. NOW® Sports delivers premium sports nutrition supplements with purity and potency they can trust. 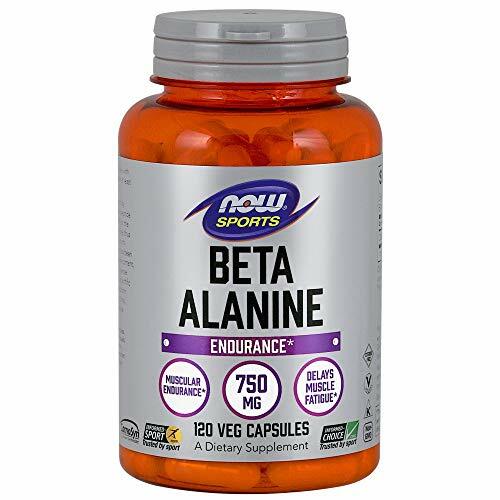 If you’re looking to take Beta-alanine, without worrying about mixing a powder into a liquid, and dealing with the resulting taste, then the NOW Beta-Alanine capsules may be a good option for you. 100% Pure powder. Clean & vegan. No additives or preservatives. Non-GMO. Lab tested. Packed in FDA registered facility in California. Micro Ingredients manufactures and distributes its own products by using state of the art technology that converts raw materials into its purest form of powder without losing any flavor and nutritional value. They recommend customers to choosing certified organic foods, as it provides a tangible way for them to benefit the environment, local economies, and public health. One of the best benefits of the product itself is that one serving is two grams (scoop included), and the bag contains 250 servings, so you won’t have to purchase it over and over if you use it regularly. 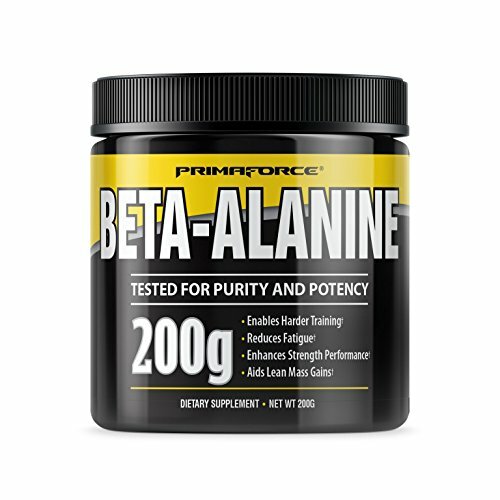 Which Beta-Alanine Product Is the Best? 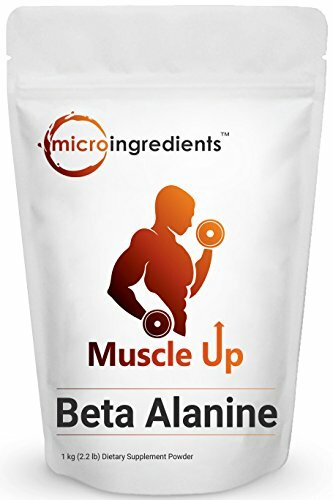 If you decide you do want to give Beta-alanine supplementation a try, we strongly suggest starting with the product from Micro Ingredients. Between the high-quality organic product, and large volume of the standard product (for a very reasonable price), you’re getting the best bang for your buck. Beta-alanine is a fantastic supplement for athletes who play sports involving explosive movements, or individuals who regularly perform anaerobic (resistance-based) workouts or high intensity interval training, because of its ability to reduce muscle fatigue and enhance recovery. It’s one of the most consistently effective — and totally legal — performance-enhancing supplements to hit the sports nutrition market in recent memory. But in the spirit of total honesty: if you’re someone whose workouts are more focused around low-intensity exercises taking place over longer periods of time (think marathon runners and/or triathletes), you may not enjoy quite the same results, because of the way muscles are differently stressed in those types of exercises.